What is a C64? Why does a hacker hack? What is a nerd? And what’s the model railway got to do with all that? 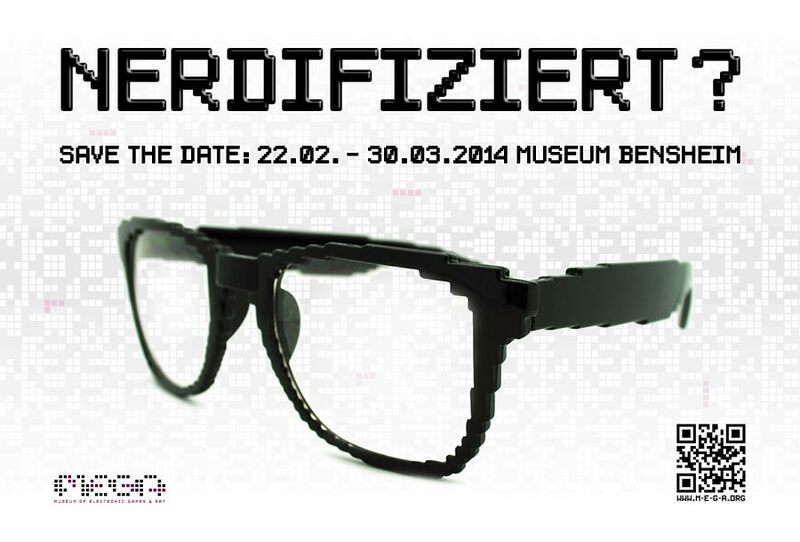 The exhibition NERDIFIED? offers to find answers to those and other questions regarding the development of computers and their consequences for our culture and society. More than 50 years ago computers began to sneak into our homes and hearts. Nowadays most parts of our daily routine are affected by computer related technology: The majority of us cannot imagine life without Smartphones, Tablets and Laptops anymore. NERDIFIED? does not only take a closer look at the causes of this expansion but also seeks to find out more about those guys in corduroys with horn-rims and long hair – the nerds – who developed today’s computer technology. NERDIFIED? wants to show that this once ridiculed species is more than just a group of technology freaks nowadays. Apart from presenting the first model railway and the beginnings of computer technology as well as digital art and games, the exhibition also gives an overview about nerds, especially focusing on the emergence of their subculture. The exhibition combines hands-on-experiences with background information and entertaining stories and is therefore not only made for computer- and technic-lovers, but also wants to attract those who have never heard of any of that. The different subject areas will be supported by workshops and presentations throughout the exhibition, so that every visitor, no matter if a digital native, geek or newbie, can learn more about computer technic and the people behind it. Visitors can also find out how much of a nerd they are themselves. To take part in our free workshops, presentations and guided tours, please sign up. You can find the program here. On March 15th we will be hosting the “Nerds Can Dance Party” featuring Pornophonique at the “Fantasy Night” club in Bensheim. The interactive exhibition includes seven game stations: HO model railway from the 1970s, T42 – Tennis for Two, Apple Macintosh Classic, Commodore 64, Atari Video Computer System and Nintendo Entertainment System can be tried. Parts of a Star Wars and of a TOMY robots collection will also be presented. Guided tours are offered regularly and can also be booked. You can find the program here.